Outfest and the UCLA Film & Television Archive partnered in 2005 to create the Outfest UCLA Legacy Project, the only program in the world exclusively dedicated to preserving lesbian, gay, bisexual and transgender moving images at risk of becoming lost due to deterioration and neglect. Over the last decade we have established the largest publicly accessible collection of LGBTQ moving images anywhere in the world; more than 38,000 items and growing. By combining forces, Outfest and the UCLA Film & Television Archive have been able to take the queer film expertise and publicity force behind the longest-running and most recognizable LGBTQ film non-profit in the United States and blend it with the preservation, conservation and academic strength of a formidable archive and educational institution. Outfest and the UCLA Film & Television Archive works together to select preservation projects and raise the necessary funds. The Archive then completes the restoration work and houses the collection in its state of the art facilities. We have completed 26 film preservations and restorations and are continuing to raise funds to restore damaged material, ensuring future generations have access to our LGBTQ film heritage. 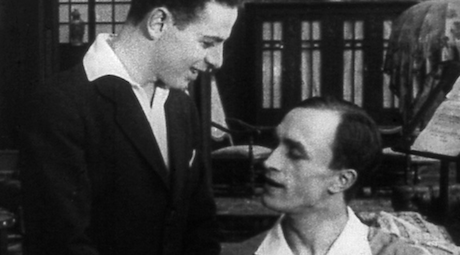 The crisis: The preservation and collection of LGBT moving images have historically posed unique challenges. Prior to the establishment of the Legacy Project, there was no system in place to save and restore independent and orphaned LGBTQ films that lack studio support or other financial means to care for and provide access to them. Through our preservation activities, the Outfest UCLA Legacy Project works to preserve and provide access to LGBTQ films at risk of being lost due to deterioration and neglect. We have a collection of archive-quality 16mm and 35mm prints of significant LGBTQ titles. Synchronizing soundtrack to picture at the UCLA Film & Television Archive’s Hollywood preservation facility. The idea for the Legacy Project began years ago in the back of a dark theater during the 20th Anniversary of Outfest when then Executive Director Stephen Gutwillig and actor Steven Buscemi stood watching a faded, deteriorating print of PARTING GLANCES. The print was the best copy available at that time. 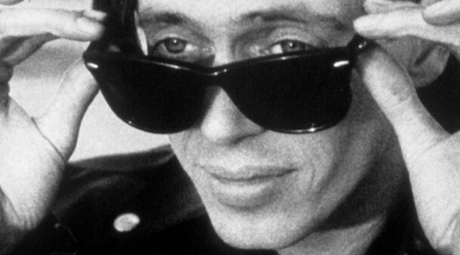 Across the country on the East Coast, producer, and independent film consultant Robert Hawk curated a Tribute to Peter Adair, including a retrospective screening of WORD IS OUT; the print was scratched and missing scenes. The directors of the film, as well as Peter’s family, were in attendance – all were horrified at the condition of the only known print. Equally horrifying was the discovery that the original elements were missing. As these people witnessed the horrid state of these seminal films that helped so many audiences find acceptance of their homosexuality and break down the walls of homophobia, a collective awareness became clear – as these movies were deteriorating, part of our LGBTQ history was deteriorating along with the film. No one was saving our LGBTQ history and they realized that they ought to do something about it. This desire gave birth to the Legacy Project. Outfest and the UCLA Film & Television Archive were a perfect match for this endeavor. Outfest began 30 years ago on the UCLA campus by grad students led by Larry Horne. Horne approached then Director of the Archive Robert Rosen and Programmer Geoff Gilmore to have an LGBTQ media conference and film festival. The first three years of screenings were held on the UCLA campus. In 2005, Outfest led by Stephen Gutwillig and Kirsten Schaffer, were looking for a way to grow the organization, to create progressive change on national and international grounds. The creation of a long-term, expansive LGBTQ preservation program necessarily needed the partnership of a film archive as Outfest staff had neither the resources nor the technical expertise. Outfest approached the UCLA Film & Television Archive led by then Director Tim Kittleson and then Dean Bob Rosen, and archivists both gay and straight were thrilled to begin this collaboration. The Outfest UCLA Legacy Project is dedicated to educating filmmakers and audiences about the importance of film preservation to the LGBTQ community’s shared legacy. In the Fall of 2017, the Department of Gender Studies at UCLA will offer an undergraduate course on the Legacy Project. This class will allow students to explore and analyze the Legacy Project Collection while learning archival research methods. In addition, each year numerous courses at UCLA use the Legacy Project collection to augment lectures and class assignments. Outfest is also working to promote the implementation of the Fair, Accurate, Inclusive, and Respectful Education Act, also known as the FAIR Education Act (Senate Bill 48). The FAIR Act is a California law mandating the inclusion of the political, economic, and social contributions of the LGBTQ community into educational textbooks and the social studies curricula in California public schools. In 2017, the Legacy Project participated in a symposium at UCLA dedicated to discussing the role of LGBTQ archives in creating LGBTQ curricula. 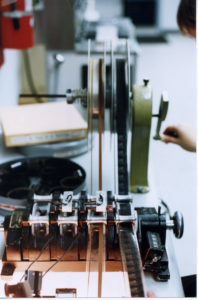 In 2017, the Outfest Fusion LGBTQ People of Color Film Festival offered a film preservation workshop during which participants learned the basics of film preservation and had the opportunity to transfer their analog film and video to digital formats. For more information regarding access and the Outfest Legacy Collection, please visit us here.